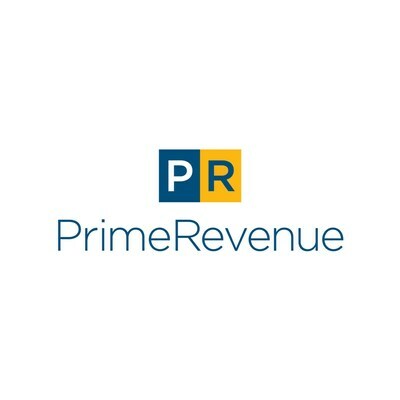 ATLANTA, March 20, 2019 /PRNewswire/ -- PrimeRevenue, Inc., the leading provider of working capital financial technology solutions, announces the appointment of Dominic Capolongo, Executive Vice President and Global Head of Funding, to the U.S. Department of Commerce Trade Finance Advisory Council (TFAC). The TFAC advises the Secretary of Commerce in identifying effective ways to expand access to finance for U.S. exporters and their foreign buyers. Comprised of up to 25 private-sector individuals who are appointed by the Secretary of Commerce to serve for a two-year term, the TFAC provides a necessary forum to bring together multiple perspectives to obtain balanced and comprehensive insights on current challenges and prospects for U.S. exporters in accessing finance and related resources1. "I am honored to have been selected for the TFAC, especially at this point in time," said PrimeRevenue's EVP, Global Head of Funding Dominic Capolongo. "The infrastructure of trade and commerce is becoming increasingly digital and connected. Financial technology firms, now more than ever, are at the heart of efficient trade. This evolution doesn't come without friction that must be identified and mitigated, whether regulatory, geopolitical or otherwise. Understanding this friction allows us to plan better, drive more effective regulation, anticipate challenges and opportunities and assist U.S. and foreign counterparts in working better together." With more than 30 years of experience in trade finance, Dominic joined PrimeRevenue in 2016 and is currently responsible for leading the company's bank and capital markets funding strategies and execution. He focuses on building global, scalable and highly efficient funding structures that maximize options for supporting PrimeRevenue's trade finance programs. "Dominic's appointment to the TFAC is a reflection of the extraordinary value he brings to our clients and our organization on a daily basis," said PJ Bain, CEO, PrimeRevenue. "His strategic insight into the evolving world of trade finance comes from his deep experience helping the global financing community deliver more value to clients, especially through technological innovation. We know he will serve the TFAC well."